Sentence: Served one year at Soledad State Prison in California prior to parole; most serious parole violation was dropped, still served time for lesser parole violations. 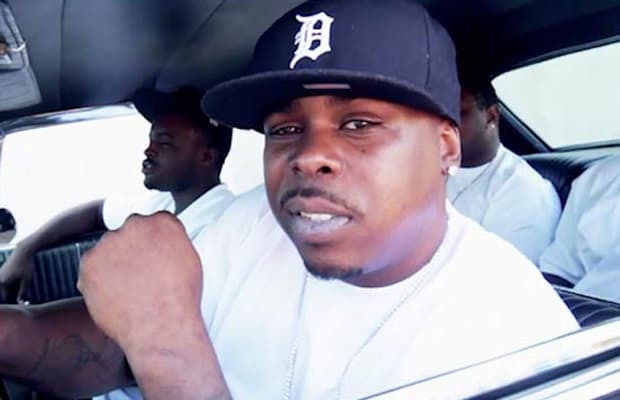 Sacramento rapper Shawn Thomas, known as C-Bo, grew up in the Garden Block as a Crip, and was heavily involved in drug dealing and gang-related crimes before he recorded any music. He was arrested numerous times throughout the 1990s, but it was a 1994 incident at a picnic that kick-started one of the more important trials in rap history. The rapper fired a shot in the air among other gang members, a fight began, and one person was killed. In 1996, he was sent to Soledad State Prison for two years. In 1997, he was released on parole, under the condition that he was not allowed to record music that promoted the “gang lifestyle” or that was “anti-law enforcement.” Naturally, when C-Bo released 1998’s Til My Casket Drops, the record was overflowing with references to gangbanging. In an L.A. Times interview with the rapper, he claimed that he only signed the agreement thinking it would be overturned on appeal. At various points on C-Bo’s album, he calls for the Sheriff’s Department spokesman to be shot, and attacks California’s three strikes law. Ultimately, C-Bo would be freed, after attracting national attention to Sacramento’s clear First Amendment violation. This year, C-Bo announced on Twitter that he would be going away for a year, shortly after being arrested on charges of distributing marijuana, money laundering, conspiracy, and interstate transport in aid of racketeering.